There has been a recent deluge of albums of previously released material with newly added backing by orchestra’s. 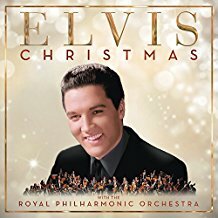 Elvis Presley, Roy Orbison, Oasis, Pete Townshend, George Michael, and many more have had their music re-released and re-imagined with orchestral backing. The Beach Boys are the latest to have their material undergo this transformation. When releasing material in this manner, there is a tension between the commercial and creative. Most major artists have had their songs released in many ways and configurations and an orchestra added to the original recordings is another way for music company’s and the copy right holders to make some extra income. On the other hand, doing the best creative job possible adds to the commercial appeal. The Beach Boys With The Royal Philharmonic is the latest in the orchestral backing sweepstakes. It is a mixed affair with pros and cons. One of the positives is the sound. While many of the songs were recorded with the technology of about 50 years ago; Brian Wilson was a genius in the studio and his recordings are impeccable. The sound is crystal clear and the vocals are up front, which puts the emphasis on the harmonies. The ballads seem to work better than the faster songs. “The Warmth Of The Sun,” “In My Room,” “God Only Knows,” and the album’s best track, “Disney Girls,” are excellent as the new backing add new textures and dimensions to the sound. More rockish tracks such as “Fun Fun Fun,” “Help Me Rhonda,” and a ramped up version of “Darlin'” are less successful as the fusion is more difficult. 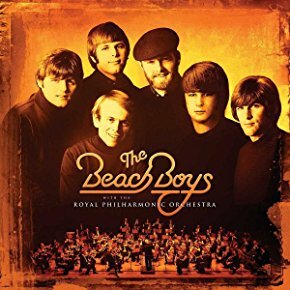 Anything interesting by The Beach Boys is worth a listen but The Beach Boys With The Royal Philharmonic is not essential. The major problem is songs like “California Girls,” “Good Vibrations,” “Help Me Rhonda,” and “Fun Fun Fun” are 1960’s pop perfection and sometimes that is enough.